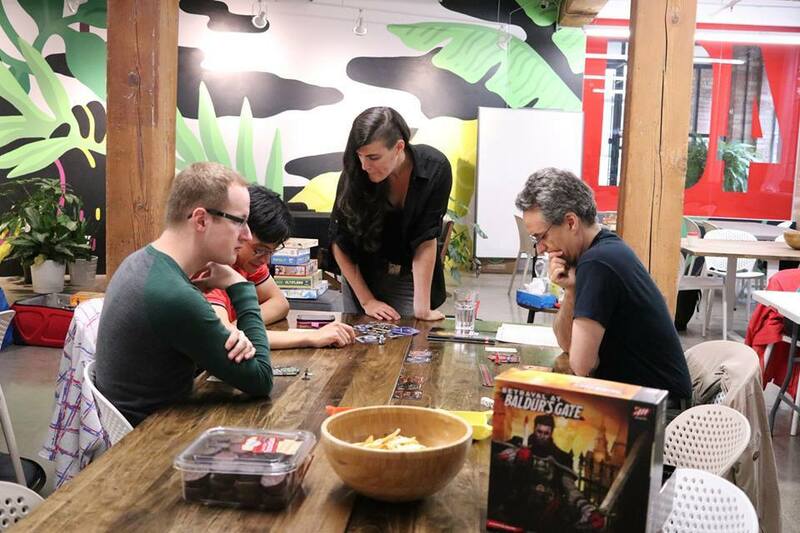 This week we're headed up to the land of maple syrup, hockey, and mounties to chat with Michelle from Board Again Games, a game event company in Toronto! What was the catalyst for opening Board Again Games? I was hosting game nights at home that over time kept growing. Decided to open it up to the public in public spaces. It became evident that there was a curiosity of new games but a hurdle to learn them. So me and close partners have decided to take the challenge of teaching new board games to as many people as we could! It also became important to make sure that gaming is accessible to folks who typically do not feel welcomed in gaming spaces. Having gaming inclusive, fair and safe for all has been one of our most strong branding messages. How do you promote inclusivity and accessibility at your events? I make sure that all the promotions for the events mention accessibility and a non judgmental attitude requirements. When I pick venues to host a night, I make sure the staff is friendly and open, that washroom are accessible if possible, as well as location being on some main transit line. I have been very lucky that people who come out to the events have been very respectful and enthusiastic to meet new people (unlike other cafes, where folks come with their friends , often people show up on their own to my events and make new friends :)). Since most people are interested in creating new connections and gaming friends , the group ends up checking themselves on being respectful and kind to one another. But my hope is that each person that comes to an event knows that I will support them and do my best to listen and make sure that they feel comfortable and most importantly is having fun! I have learned that sometimes trying to create a 'safe space' can seem intimidating at times if ,for example, you start the night with a code of conduct or a list of things you can or cannot do... even though it can be effective at times. My approach is to prioritize having fun first and hopefully the rest follows, creating a more playful and lighthearted atmosphere. Why do you think FLGSs and Board game Groups are important? Overtime, being part of the gaming community in Toronto, I have noticed that having the option to create and belong to different groups allows you to focus on more niche interests even within the hobby. Also, it allows for marginalized folks to engage in the hobby in a ...hopefully more safe way. I used the opportunity of having a pop-up store back in 2015 to start hosting a Women and Trans game night (now changed its name to Queers and more Queers Game Night). This created a branding opportunity for me to highlight my events as being open to more than just the 'typical' demographic that comes to a board game event. The ultimate goal is that all events are always open to all... but we are not there yet in the Toronto Gaming community and the hobby community in general. So I am doing my part to use my group to communicate that board games are for everyone and my events strive to be more inclusive , fair and safe for all! I see others use their groups to cater to different parts of the hobby which I think is wonderful. There is nothing more rewarding than walking into a game night/game store and know you are in good company. Finally, I think in a busy city like Toronto, having more ways ( other than work or school) to meet new people and find friends with similar interests is very important and needed. Whats the most important thing you want gamers to get out of Board Again Games? Board Games are for everyone! and my events strive to be more inclusive, fair and safe for all! If each person leaves an event having had fun, made a friend/connection, learned a new game felt comfortable and welcomed, I'd consider Board Again a success!